ADDRESS: 3208 Ginger Drive D, Talla., FL 32308. Northeast near Capital Regional Medical Center, Tallahassee Orthopedic Center, many medical offices, restaurants, shopping and services. APPLICATION: Written Application for verification of Rental History, Employment and Income Verification, Credit Report, etc. $50.00 Application Fee per Person or Married couple. This is Non-Refundable. LIVING AREA SIZE & ROOMS: Living Room has a Brick Corner Wood Burning Fireplace. Living –Dining Room combo with Bar to the Kitchen. Office area with Inside Laundry. About 1100 Square Feet. Split plan. TERM: One Year Lease. 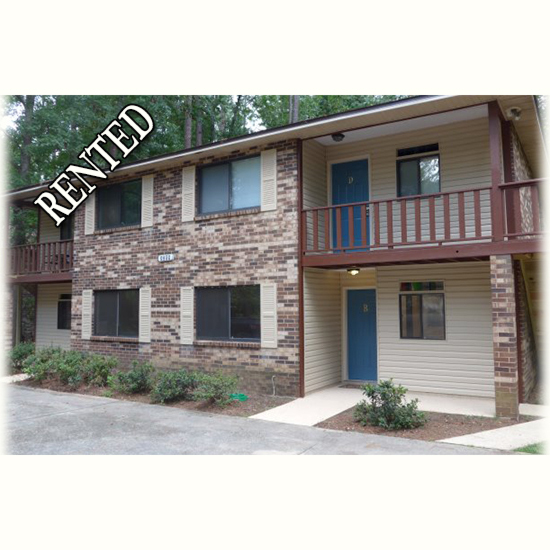 Owner or Property Manager visits monthly and will pick up the rent check. PETS: May be considered. There is a Pet Application and Interview with the Pet. Pet Fee varies with the Pet ($250.00 minimum per pet). This is Non-refundable. With Pets, the Tenant must have a Tenant’s or Renter’s Insurance Policy. AMENITIES: New: Interior Paint, Counter Tops in Kitchen and two Baths, Luxury Vinyl Wood-like Plank Flooring, Lighting and more! Three Ceiling Fans. Covered Front Porch.